Sign up for free and just shop with GlossyBox as normal. Our average member earns over £300 cashback a year. Cashback may initially track at a lower rate but will later uplift. December Boxes Sold Out! All customers joining from 20th Nov will receive a “welcome box” in December and will go into pre-allocation for January. GlossyBox cashback can be earned simply by clicking through to the merchant and shopping as normal. GlossyBox Cashback is available through TopCashback on genuine, tracked transactions completed immediately and wholly online. Treat yourself to a box full of beauty gifts every month when you take up one of the available subscriptions at Glossybox. For £10 a month, they will send you a beautifully wrapped Glossybox which will contain five surprise health & beauty products worth more than £50 from a range of more than 100 premium and niche brands. 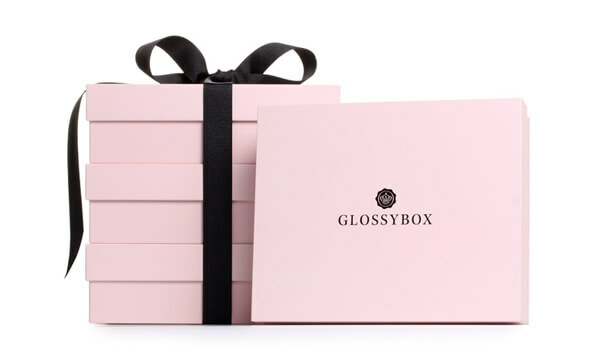 You may even receive an exclusive gift with prepaid plans from Glossybox, such as a free sample. 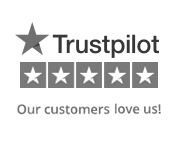 If you are unsure about receiving items you have not chosen, you can be sure their specialist team works tirelessly to offer subscribers the best products around. As well as fantastic products, you will also receive the latest tips and trends to try out. Take a look at previous boxes, including the vegan limited edition box, to get a feel for what you will receive, choose a plan to suit you and start enjoying the best monthly beauty box subscription. Glossybox is not just about the signature pink boxes, however, as they also offer expert beauty advice, while you can also read features from some of the industry's finest in their online Beauty Unboxed magazine and get inspired. Browse gift subscriptions if you want to treat someone else, while there is also a discount for students. You can also receive up to a £10 voucher with friend referrals at Glossybox. If you fancy signing up for the monthly make-up subscription box, make sure you join TopCashback first as you may find cashback deals which will allow you to enjoy big savings on selected three, six or 12 month subscriptions at Glossybox when you register a new account. For the budget savvy, we may also have Glossybox discount codes from time to time which will allow you to save money on box purchases at Glossybox. When it comes to subscription purchases at Glossybox, there are various options available to you. If you want to pay monthly, you can opt for the flexible one month plan or save yourself some money with a 12 month subscription plan at Glossybox. Alternatively, you can pay upfront for a three, six or 12 month subscription plan, with the savings available increasing the longer you commit for, allowing you to really enjoy low prices on selected subscriptions at Glossybox. Whichever option you choose, you can be sure of getting awesome deals from Glossybox.co.uk and, each month, receiving a fantastic box when you subscribe. Your subscription will renew automatically for an additional fixed term of the same length unless you cancel. Your card will be charged on the first of the month and your subscription boxes sent out from the fifth. If you cancel after the 14th of the month, you will still receive next month's box. They try to ensure all Glossyboxes are consistent, but they may differ in some cases depending on your profile information and the availability of items. However, they will always try to ensure all box orders at Glossybox are of equal value. You can receive five new beauty products worth more than £50 every month with subscriptions at Glossybox. It is so easy to get yourself signed up too. Simply choose the subscription plan which best suits you and they will take your first payment straight away, while your subsequent regular payments will come out on the first of the month. Each month, you will receive a beauty box containing five products, which could include skincare, cosmetics and hair care from the world's leading brands. These could either be deluxe samples or full size products, but no matter what you receive, you can be sure of getting amazing deals at Glossybox.co.uk. As well as the products you will receive through your door, you will also be able to take advantage of Glossybox beauty tips, tutorials and some exclusive offers. Complete their monthly surveys, meanwhile, and you will collect GlossyCredits, which you can spend at beauty brand Lookfantastic. When you become a subscriber, as well as being able to save with our cashback offers and discount code deals for Glossybox, if we have any, you will gain access to the Glossy Lounge, which is an exclusive area just for you. Take a look in there and you will find special deals on amazing brands and superb benefits each month. As well as beauty, you will also find deals on travel, fashion and food & drink. As a subscriber, you will be able to access the Glossy Lounge from your account area, though it may take up to seven days for it to be activated. If you are not a subscriber, just choose one of their plans and delve into a world of Glossybox discounts you will love. If you are still not sure a Glossybox subscription — which will allow you to discover must-have beauty products — is right for you, you can take a look at some of their previous boxes and see what subscribers have been getting their hands on. 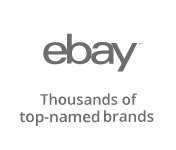 Click on a box and you will see a list of items your five products would have been taken from, and read more information on each listed beauty solution. You can also discover their limited edition boxes, such as the vegan box, which you will be among the first to hear about if you sign up to the waiting list. You will have to act fast, however, as they are only usually available for a limited time. If you want to treat someone else to a Glossybox subscription, you can give them the perfect gift with prepaid subscription orders at glossybox. They have eGift cards available for three months of products, a six month subscription plan or 12 month subscriptions — all of which include delivery. If you have a friend or family member who loves to receive beauty products, they will be delighted to see the signature pink box being delivered every month. Buy today and the voucher will be sent straight to the recipient by email. If you want to get a great deal on even more beauty products, you can sign up to receive updates on their limited edition boxes. These could feature products from specific brands, such as La Mer and NARS, or you could find a box containing, for example, 11 amazing products worth £140 pounds which retail at £30 but could be yours, as a subscriber, for as little as £25. Because they promise to send you the best in beauty each month, they offer products from some of the leading beauty brands. Take out a subscription and you will start receiving essential items from the likes of Clarins, Illamasqua, La Roche-Posay, Estee Lauder and Yves Saint Laurent. Get your hands on a beautiful box of delights, which will make you look and feel great, with these offers. Discover the most coveted beauty products, beautifully wrapped in a signature pink box and delivered straight to your door. GlossyBox is the perfect beauty treat. For just £10 per month you will get a beautifully wrapped GlossyBox sent to your doorstep with five surprise beauty miniatures inside. Let them introduce you to the most exciting brands, choose between a rolling monthly subscription which you can cancel at any time or a fixed term subscription and earn cashback rewards when you buy.